Apple retail head Angela Ahrendts is departing the company after just five years on the job, the company revealed on Tuesday, leaving incoming SVP Deirdre O'Brien with some large shoes to fill. O'Brien, a 30-year veteran of the corporation, is currently Apple's VP of People. In fact, O'Brien will retain those responsibilities, taking on a new mantle as senior VP of "Retail + People." Along with retail operations, the role covers "People-related functions" like talent development and Apple University, recruiting, employee relations and experience, business partnership, benefits, compensation, and inclusion and diversity. "At Apple, we believe our soul is our people, and Deirdre understands the qualities and strengths of our team better than anyone," said Apple CEO Tim Cook in a prepared statement. Talking about Ahrendts, the CEO thanked her for being a "positive, transformative force" for both Apple stores and their surrounding communities. "The last five years have been the most stimulating, challenging and fulfilling of my career," Ahrendts herself stated. "Through the teams' collective efforts, Retail has never been stronger or better positioned to make an even greater contribution for Apple." Ahrendts was formerly the CEO of Burberry, and is thought to have been hired in 2014 precisely because of her fashion expertise. The company was on the verge of announcing the first-generation Apple Watch, and under Ahrendts' tenure Apple stores have become increasingly focused on selling style as much as substance, as evidenced by touches like glass tables showcasing different Watch bands and cases. The executive also spearheaded "Today at Apple," a rebranding and expansion of in-store teaching and entertainment events. She only recently promoted the addition of over 50 new sessions, some of them celebrity-branded. Apple's retail footprint has also expanded to over 506 locations under her tenure. Renovations are underway at a variety of existing shops to update them to the Ahrendts aesthetic, developed with the help of chief design officer Jony Ive. 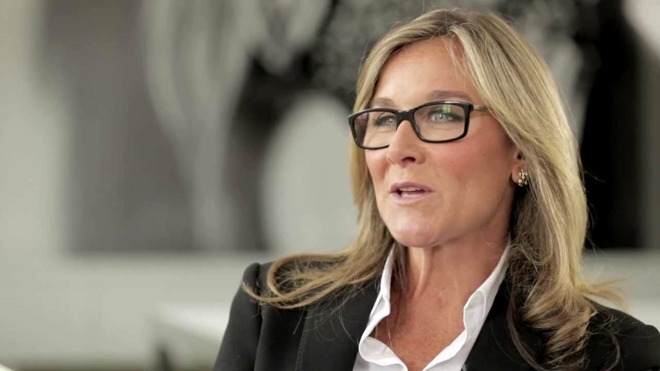 Ahrendts is leaving to pursue "new personal and professional pursuits," Apple said.